Baselworld, the watch industry’s biggest fair, is in full swing in Switzerland. Although it’s no secret that the fair is hanging on for dear life–especially with the recent exodus of 18 Swatch Group brands–this edition of Baselworld is still hosting top watch brands like Rolex, Patek Philippe, Breitling, Hublot, and others. While the future of Baselworld may be uncertain, let’s enjoy the moment by taking a look at the hottest new men’s watch releases from Baselworld 2019. 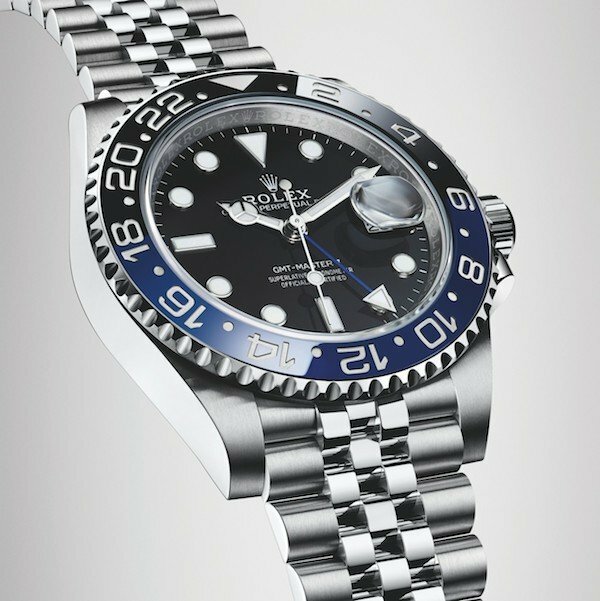 The big star of last year’s Baselworld was the brand new stainless steel Rolex GMT-Master II “Pepsi,” fitted with a Jubilee bracelet and equipped with the new generation Caliber 3285. Hot on the heels of that 2018 release is this year’s Rolex novelty, the brand new stainless steel Rolex GMT-II “Batman” ref. 126710 BLNR with the beloved black and blue Cerachrom ceramic bezel. Like the latest Rolex Pepsi, the new Rolex GMT-II “Batman” ref. 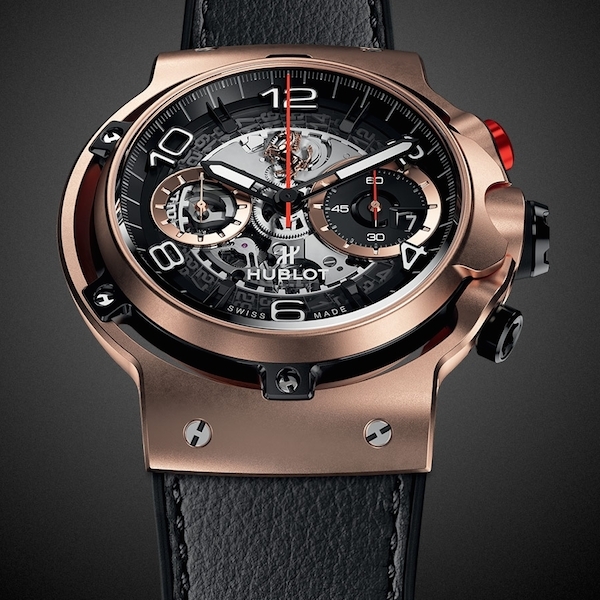 126710 BLNR also comes with a Jubilee bracelet and the 70-hour power reserve Caliber 3285. And perhaps in even bigger news, with its release comes the end of the production of the GMT-Master II ref. 116710 BLNR and the GMT-Master II ref. 116710 LN. 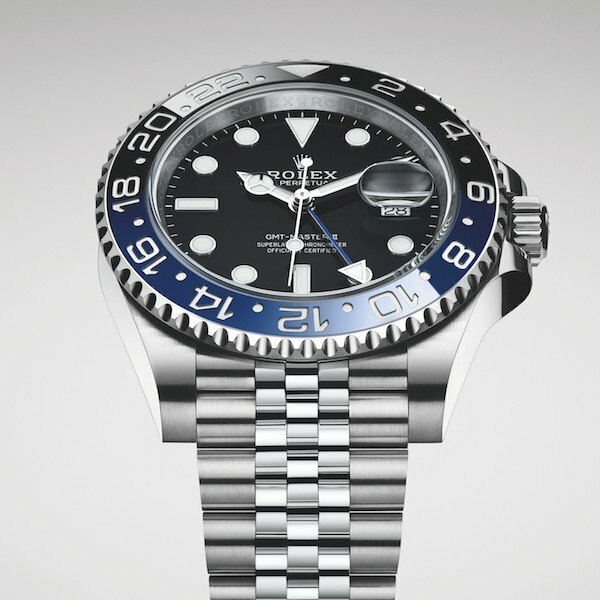 This means that Rolex currently only offers the steel GMT-Master II with a bi-colored bezel and a Jubilee bracelet. New for 2019 is the Patek Philippe 5212A Calatrava Weekly Calendar, which for those of us who are familiar with Patek Philippe, is an intriguing proposition on many levels. 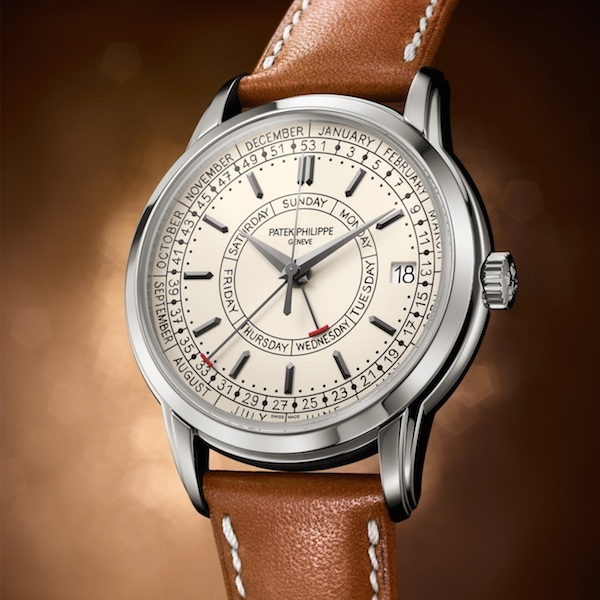 Firstly, while Patek typically uses precious metals for the Calatrava collection, the new ref. 5212A has a 40 mm stainless steel case. Secondly, this watch includes a weekly calendar indicator (along with the day of the week, month, and the date), which is not something we see often in watches. In fact, Patek constructed a new movement, the automatic 26-330 S C J SE, to power the 5212A Calatrava Weekly Calendar. Furthermore, the silver opaline uses a font based on the handwriting of one of Patek’s watch designers! Finally, Patek opted for a more informal hand-stitched calfskin strap rather than a dressier crocodile. All of these details come together for a casually cool Patek Philippe watch that is fresh and youthful while still maintaining an elegance that we’ve come to expect from the renowned watchmaker. Bulgari has focused on making ultra-slim watches in recent years, consistently breaking records for the thinnest watch in a bevy of categories. For Baselworld 2019, they’ve done it again by unveiling the thinnest mechanical chronograph in the world. The new Bulgari Octo Finissimo Chronograph GMT Automatic slides in with a strikingly thin 6.9mm profile, despite the watch housing a chronograph and a GMT automatic movement. Oh yeah, the brand new Caliber BVL 318 measures just 3.3mm thick, which is yet another record for the thinnest automatic chronograph caliber ever produced. The GMT timezone is adjusted via a pusher at nine o’clock while the chronograph is, of course, activated by the pair of pushers flanking the winding crown on the other side of the case. 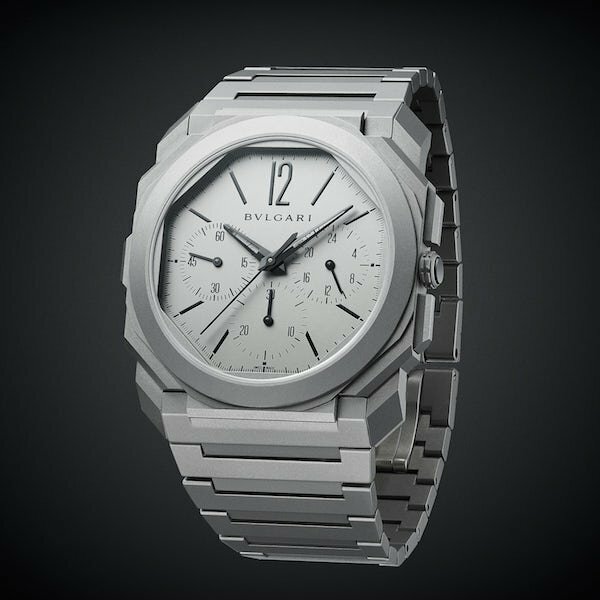 The sandblasted titanium octagonal case measures 42 mm in diameter, sports a round bezel, and houses an octagonal dial. To maintain a modern monochromatic look, the dial is also sandblasted titanium as is the integrated bracelet. 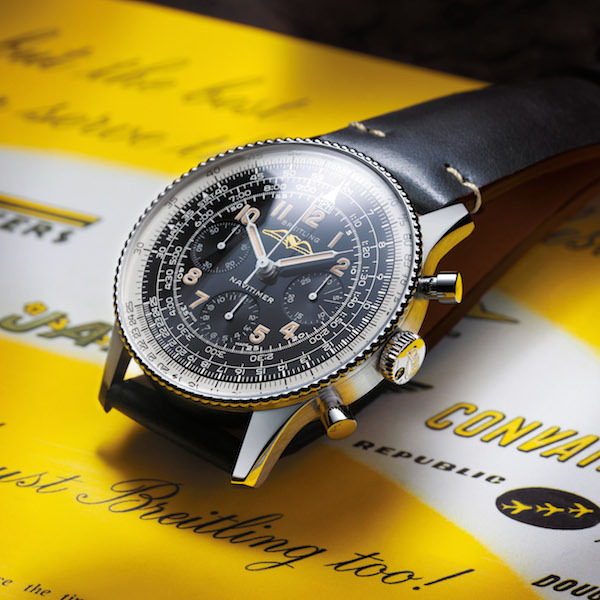 Fans of vintage Navitimer watches will be delighted to see the brand new Breitling Navitimer Ref. 806 1959 Re-Edition, which is an authentic re-issue of the original model from 1959. From its 40.9 mm steel case to its 94 beads on its bezel to its plexiglass crystal to its black dial with black counters and unsigned winged logo, this new version looks like it was plucked right out of 1959. The few modern touches added to the Breitling Navitimer Ref. 806 1959 Re-Edition include an increased water resistance rating to 30 meters and Superluminova rather than radium for luminescence. However, Breitling did ensure that the color of the modern lume replicated that of the vintage model. Limited to just 1,959 pieces (naturally), we won’t be surprised if all of these will be accounted for by the end of the fair. Emphasizing its strong partnership with Ferrari, Hublot released the brand new Classic Fusion Ferrari GT collection of watches. As its name implies, the collection draws inspiration from the “Gran Turismo” world and this is not merely a case of sticking the Ferrari name on a Hublot watch, but a genuine collaboration between designers from both powerhouse brands. While these new models are part of the Hublot Classic Fusion collection, the case silhouettes are significantly different than other models within the collection. Flaunting a more architectural approach, the inner case component (with the bezel, dial, and movement) is affixed onto a separate frame (housing the lugs, pushers, and crown) via screws, lending an almost floating effect. The new Classic Fusion Ferrari GT is available in three different cases: Titanium (limited to 1,000 pieces), King Gold (limited to 500 pieces) and 3D Carbon (limited to 500 pieces). Fitted inside the 45 mm cases is an in-house UNICO manufacture movement, the HUB1280 self-winding flyback chronograph movement. Don’t miss our next overview of the latest and greatest in the watch world with an overview of the hottest new women’s watches from Baselworld 2019. Stay tuned!